In recent years, stream-based active learning has become an intensively investigated research topic. 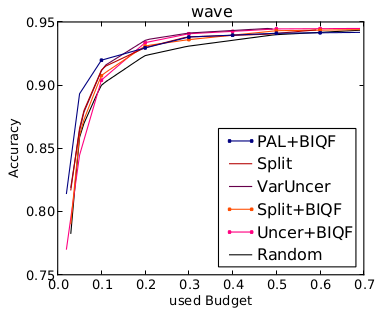 In this work, we propose a new algorithm for stream-based active learning that decides immediately whether to acquire a label (selective sampling). 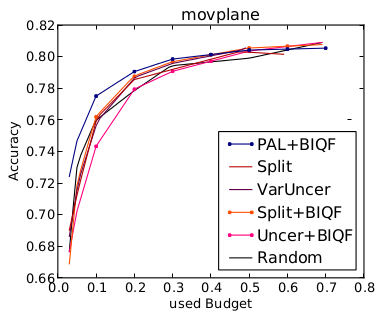 It uses Probabilistic Active Learning (PAL) to measure the spatial usefulness of each instance in the stream. 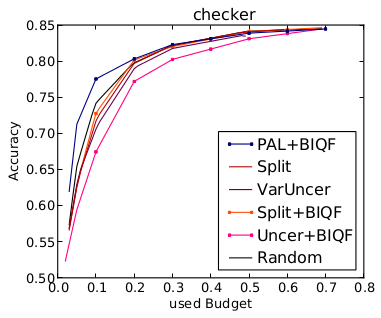 To determine if a currently arrived instance belongs to the most useful instances (temporal usefulness) given a predefined budget, we propose BIQF - a Balanced Incremental Quantile Filter. It uses a sliding window to represent the distribution of the most recent usefulness values and finds a labeling threshold using quantiles. 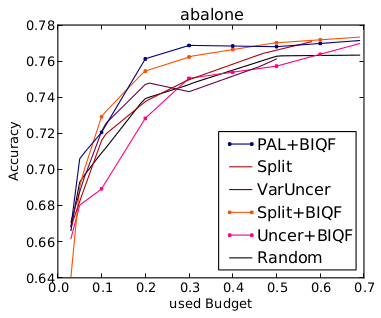 The balancing mechanism ensures that the predefined budget will be met within a given tolerance window. We evaluate our approach against other stream active learning approaches on multiple datasets. The results confirm the effectiveness of our method.